Although divorce rates in the United States have declined gradually since 2000, in recent years, the number of divorces in which social media and connected devices have played a factor has been on the rise. Studies show that constant connectivity affects parents’ relationships with their children as well, with nearly a third of children saying that they feel “unimportant” when their parents pay too much attention to their phones. While smartphones have become indispensable in many respects, there is little question that some people – by some accounts nearly half of the adult population – spend more time on their phones than they should. What constitutes “too much” is highly dependent upon each individual’s personal, work, and family circumstances, but knowing where to draw the line can be critical to preserving and fostering your relationship with your spouse and children. In a study conducted by researchers at BYU, more than half of female respondents, “reported that phones, computers and other technology devices were significantly disruptive in their relationships, couplehood and family lives.” This included mobile device use by both spouses. A survey conducted by the American Academy of Matrimonial Lawyers in 2010 found that approximately 20 percent of all divorces involved one or both spouses’ use of Facebook in one way or another. According to CNN, 50 percent of teens say they are “addicted” to their mobile devices, and 59 percent of parents say their children have a smartphone addiction. By the same token, Today.com reports that 54 percent of kids say their parents spend too much time on their phones. What if Mobile Devices are Negatively Impacting Your Family Life? Making sure you and your spouse both unplug when you get home from work. Keeping mobile devices out of the dining room and the bedroom, and designating technology-free family time. Making sure everyone is aware of their phone usage, and putting real-life family interactions before status updates, texts, and direct messages. If it seems that the damage to your marriage is irreconcilable, you may also be considering a divorce. While this is certainly an option you have available, before filing for divorce, it is important to understand the implications and consider the alternatives; and, if you ultimately decide to file, there are steps you will need to take to get prepared. If you are contemplating a divorce and would like more information about the steps involved in the process, we encourage you to inquire about a confidential initial consultation. 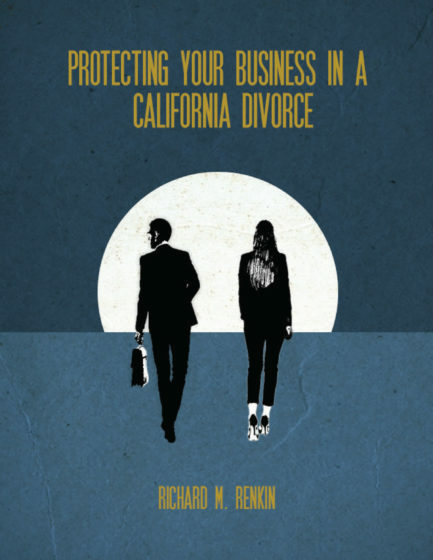 Richard M. Renkin is a Certified Family Law Specialist who brings more than 30 years’ experience to representing spouses who are contemplating divorce in San Diego County. He also provides compassionate and practical legal representation for other complex family law matters. To request a confidential initial consultation at the Law Office of Renkin & Associates, please call (888) 837-3564 or inquire online today.